Or: how we ended up with the stridsvagn m/42. In 1930’s Sweden, there was an engineering and machinery firm named Landsverk. Founded in 1872, it was originally a manufacturer of steam engines, agricultural machinery, railroad cars and other such things. The company was bought up by new German owners in the mid-1920’s after a period of economic troubles, and suddenly around 1930 it sprouted a new armored vehicles division under a Dr. Ing. Otto Merker (he left the company in 1936, went back to Germany and had a quite successful career in the Nazi Reichsministerium für Bewaffnung und Munition where he later worked on the type XXI submarines, but that’s an entirely different story). Either way, around 1936-1938 Landsverk developed a new light tank design called L-60. It was a cute little thing of about nine metric tons with a three-man crew, armed with a 37mm Bofors AT gun or a 20mm autocannon. Very modern for its time, it featured torsion bar suspension, a fully welded hull and elegantly sloped armor. 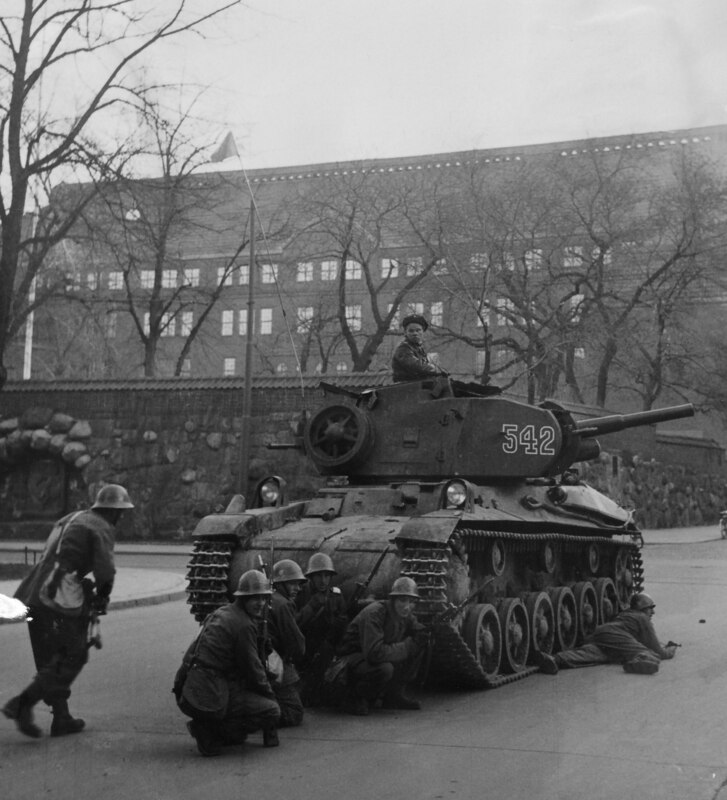 The Swedish army, originally interested buying upwards of a hundred, ended up with having enough money to buy 16 (sixteen), designated stridsvagn m/38 (tank, model 1938), and then another 20 in 1939 with some improvements (the improved model appropriately designated stridsvagn m/39). 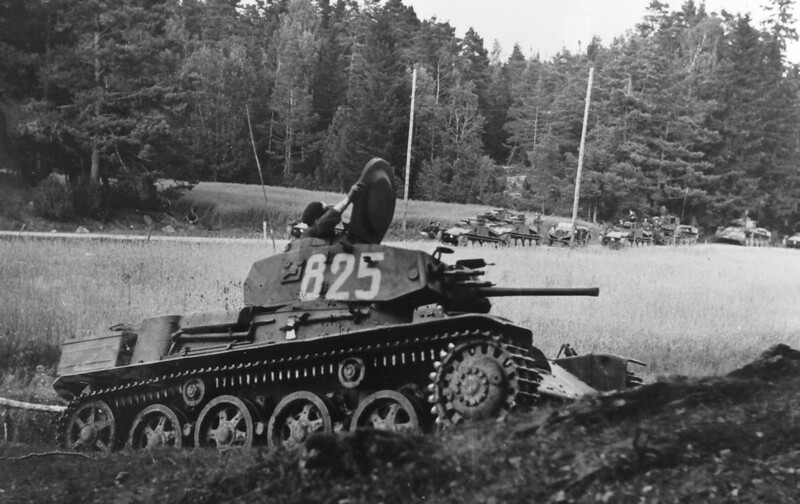 The first Swedish L-60, stridsvagn m/38. Then war breaks out, Norway and Denmark gets invaded by Nazis, Finland is hanging on for dear life against the Russians, the situation is about as awful as it can get without outright war, and suddenly there’s money to order another 100 or so, this time with three times as much front armor. In fact, there’s money for a lot more than that, but there’s a production capacity bottleneck. Still, about at this time people start to realize that regardless of how modern the L-60 design is, literally everyone else is building tanks that weigh at least three times as much and are armed with guns of at least twice the caliber. 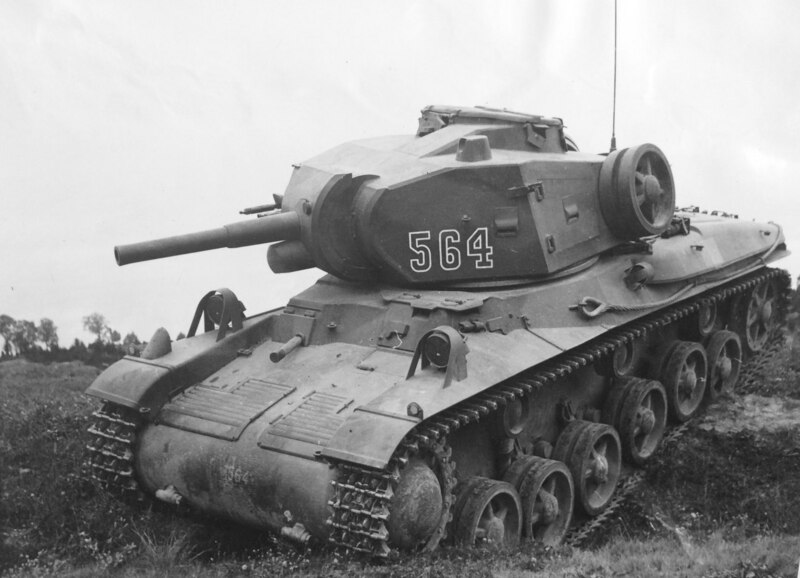 Steps have to be taken, and after much hemming and hawing, in 1941 an “armor committee” is appointed and tasked with developing a new “heavy” tank. Only, not that heavy, because the design goal is 20 tonnes and there’s a strict weight limit of 21 tonnes (then later grudgingly raised to 22 tonnes). 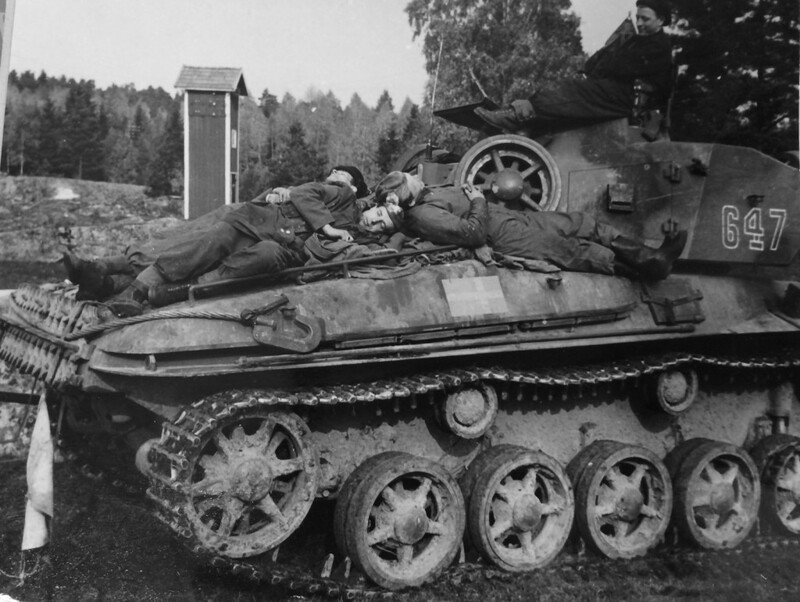 Sweden in the early 1940’s is not a very car-reliant society and a heavier tank would have far too many problems with strategic mobility since – among other things – it wouldn’t be able to cross most bridges. 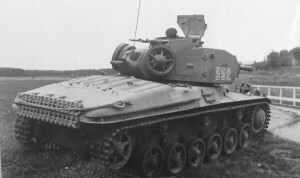 The second L-60 version, stridsvagn m/39. 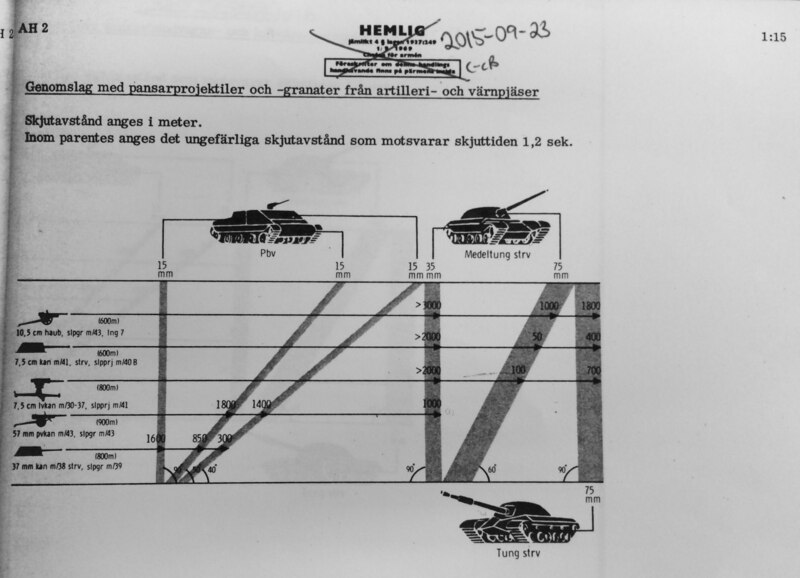 When the armor committe finally gets the ball rolling in spring-summer 1941 there’s no time to develop a new design from scratch and there are no foreign designs that are both good enough and possible to license, so Landsverk dusts off a 16-ton design called Lago, developed around 1938-1940 and originally intended for export to Hungary (which also built the L-60 on license – locally called the Toldi). 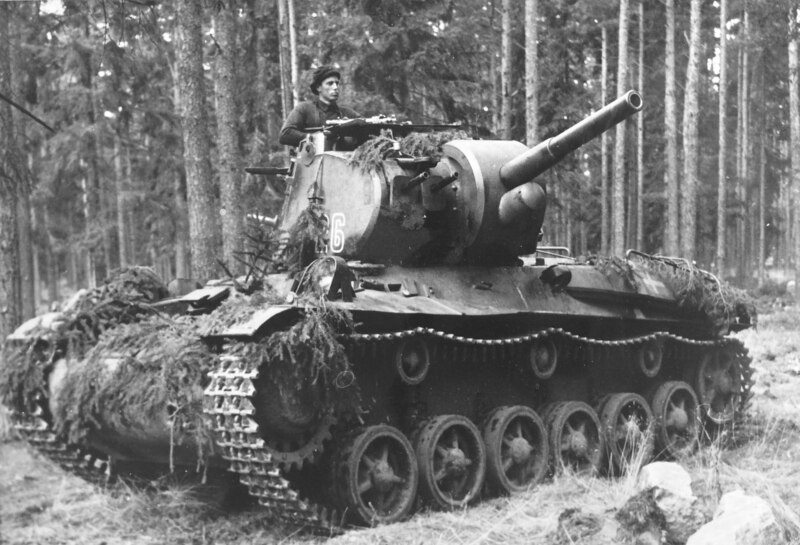 The chassis is stretched (too much, as it turns out – the tank ended up hard to steer because it was too long in relation to its width) and the armor improved. The army really wants at least 60 mm of frontal armor, but can’t get it within the given weight limits and has to settle for 55 mm. A new turret is developed and gun choices are debated. The army primarily considers three alternatives; a relatively long 57mm gun (good against armored targets), a very short 10,5 cm howitzer (good for lobbing big blobs of HE) and a medium-short 7,5 cm gun that’s somewhere in between. In the end the army goes with the 7,5 cm, and – in order to avoid re-tooling factories and retain ammo commonality with the light field artillery – chooses an existing shell casing with a rather limited space for gun powder. As a result of that and the short barrel the muzzle velocity is rather low and the gun ends up being quite similar to the one on the 75mm Sherman. 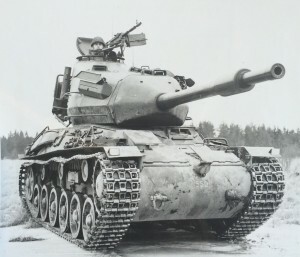 The design goal is to be able to penetrate the most modern foreign medium tanks in the side at distances up to about 800 meters – penetrating them frontally would require a much longer and heavier gun (similar to the 7,5 cm AA guns available at the time) that would go far over the weight limit, so that role is left to a future dedicated TD design. The tank is to have two engines – a pair of Scania-Vabis’ tried and trusted L603 design, which was also used on the L-60. The gearbox is an issue, though – there’s no existing gearbox design available in the country that is both compatible with a twin engine arrangement and is suited for a vehicle this heavy. The Atlas-Diesel company (today better known as Atlas Copco) offers to develop a new hydraulic gearbox, but it’ll take too long to get ready and it’s rather heavy and bulky, too, in a tank where every kilogram is precious. In the Lago prototype, Landsverk had used a gearbox manufactured by German engineering firm Zahnradfabrik Friedrichshafen, so the army contacts them about buying it for series production. The company happily offers what they call the gearbox of the future, an electromagnetic design originally designed for trams or rail buses, which promises to be both efficient, very light and small and easy to use, but best of all it can be delivered immediately. The sales engineers make all kinds of exciting claims – this gearbox will be used on all new tanks in 3-4 years from now, a bigger version is used on the famous Tiger tank and the magnetic plates that control which gear is used are said to last basically forever. They can’t leave any guarantees that specify that the gearbox will work for a fixed number of kilometers, but they’re absolutely convinced the army will be satisfied. (If this sounds like a scam, that’s because it is – basically none of the claims turned out to be true.) The army is still somewhat suspicious of this new and untried technology and as a precaution orders two sets of gearboxes for every tank; one electromagnetic from ZF and one hydraulic from Atlas-Diesel. A hundred tanks are built with the electromagnetic gearbox since that’s what available immediately. 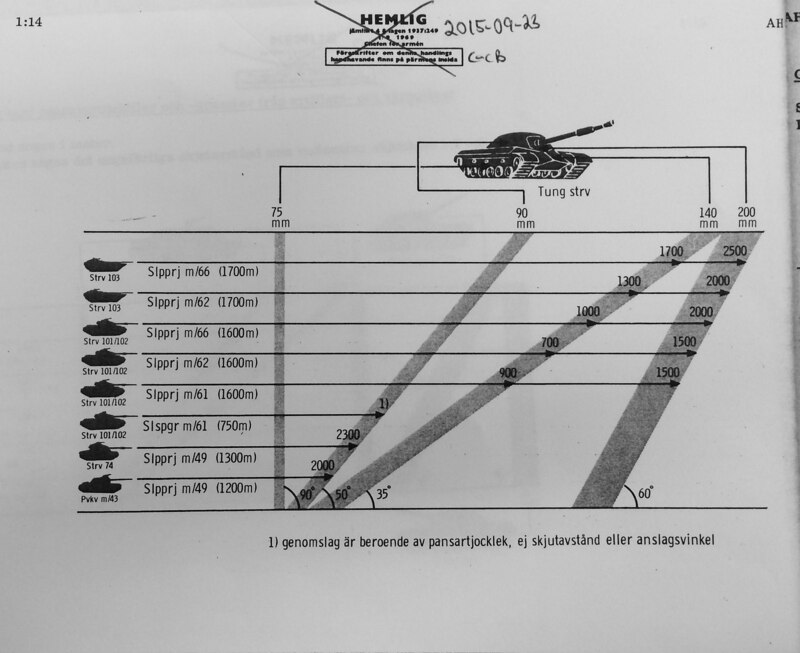 When it comes to manufacturing these tanks, Landsverk alone does not have the production capacity to do it (and it would be very unwise to concentrate all tank manufacturing to a single place, especially one as close to the continent as Landskrona). A hundred are ordered at Landsverk, and additionally the army contacts Volvo in order to negotiate a contract for license production of another sixty. Instead of accepting this lucrative business in troubled times, Volvo makes a huge fuss about its civilian market share. 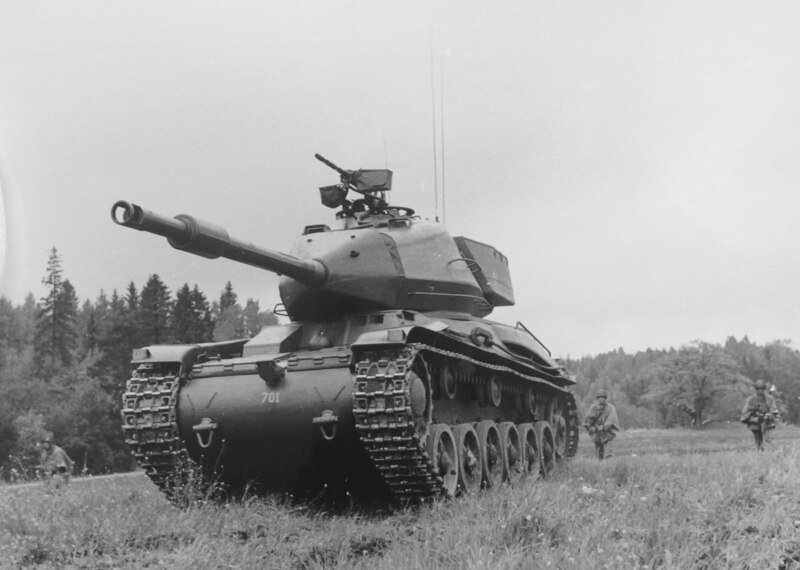 The tank has an engine made by their greatest competitor on the civilian market; building a tank and fitting it with the competitor’s engines is simply unacceptable. “How”, cries Volvo’s CEO, “could we look our retailers in the eye if they ask us why – when it really mattered – the army chose our competitor?” Volvo doesn’t have any suitable engine ready though, and would rather not take the contract at all, not even at an inflated price. Since there aren’t exactly a lot of manufacturers available, the army basically threatens to place the company under direct government control for the duration of the war. Volvo makes a counter-offer and says they’ll build 55 tanks with the Scania-Vabis engines, but for the last five they’ll develop a new engine of their own. The army grudgingly accepts this and in the end, after many teething problems and even more gearbox problems (adapting to the new engine is not entirely unproblematic), a total of 57 tanks out of 282 total built are fitted with a single Volvo engine instead of two Scania-Vabis ones. The Volvo engine is more powerful but also turns out to be considerably less reliable. For no real good reason, the tank now exists in three different versions with completely different drive trains: strv m/42 TM, TH and EH. TM means two engines and electromagnetic gearbox, TH means two engines and hydraulic gearbox, and EH means for one engine and hydraulic gearbox. When the first version – the TM – gets out into the field, it’s a disaster. The electromagnetic gearbox is more efficient and provides more power at the drive wheel than the hydraulic one does in most situations, but it is catastrophically unreliable. In October 1944, the 3rd Armored Regiment at Strängnäs reports that 51 out of 89 strv m/42’s with the ZF gearbox are unserviceable, largely because of problems with the gearbox. 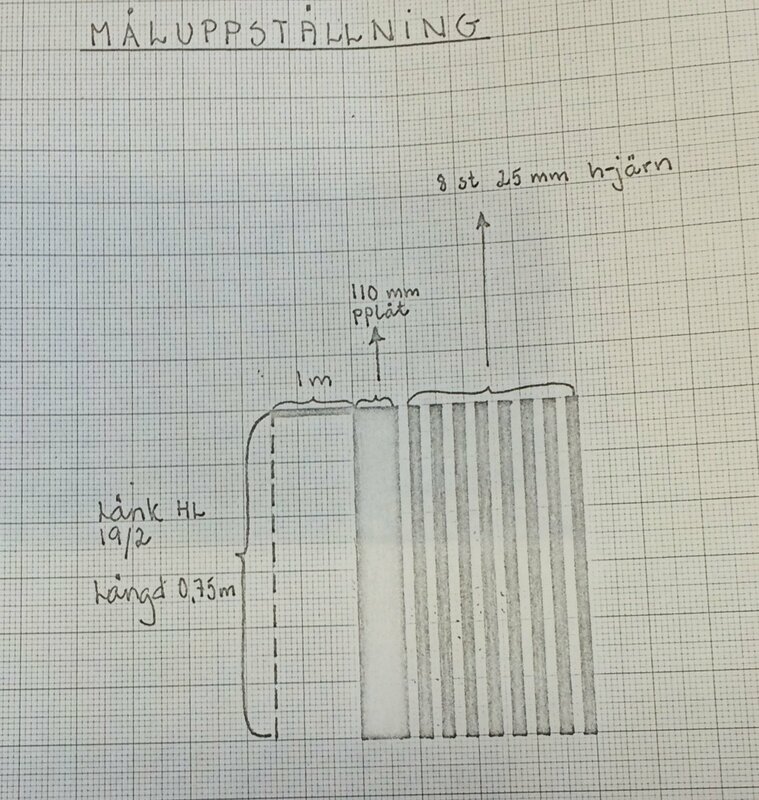 The magnetic plates (said to be “eternal”) break all the time, sometimes after only tens of kilometers, and when sent for analysis at a lab at Svenska Kullagerfabriken (SKF) it turns out ZF has cut some rather important corners and the steel is of very poor quality, full of dross. The entire thing frequently overheats. The government appoints an investigative commission which asks a lot of involved parties some very pointed questions, and sabotage by prisoners of war at ZF’s factory is discussed as a possible theory. In the end it takes several years to sort out these problems (plates redesigned several times and new ones manufactured in Sweden under extremely strict quality control at Sandvik AB, lubrication adjusted several times etc). 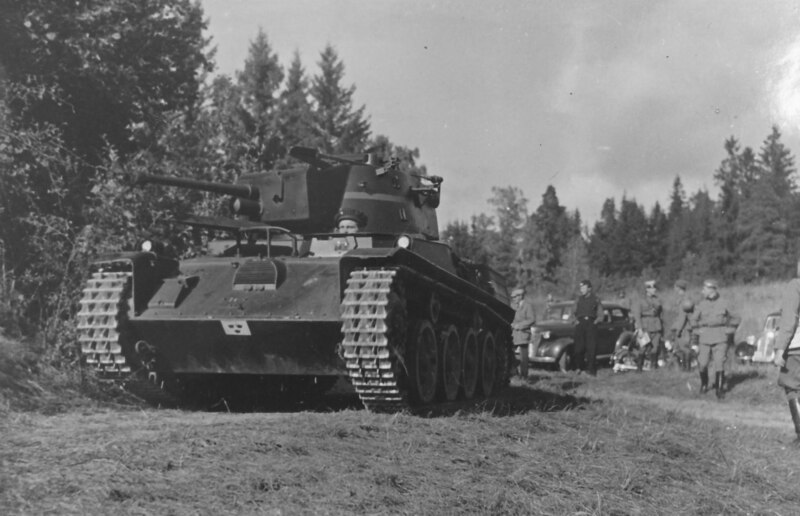 Stridsvagn m/42 with an experimental turret intended to house a longer 7,5 cm gun. 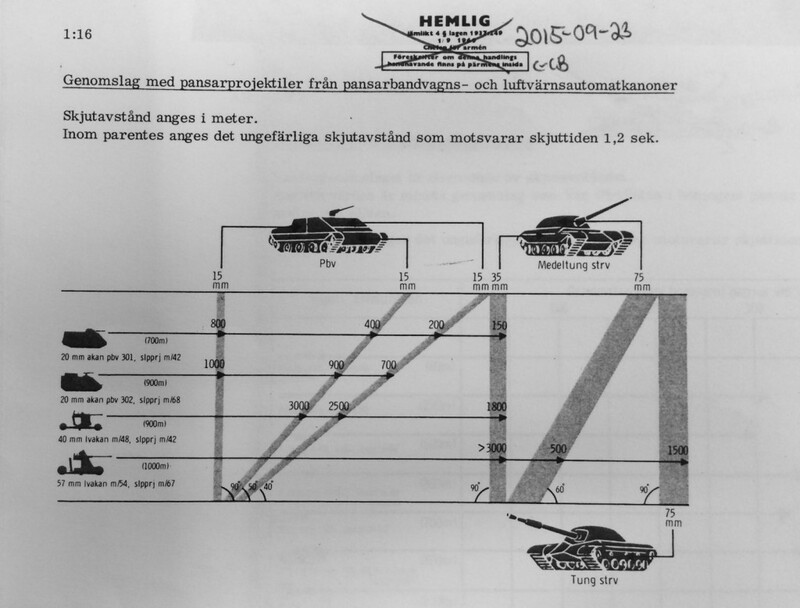 The army gets sick of this and when developing the new pvkv m/43 tank destroyer on the same chassis also orders yet another gearbox design, this time from Volvo. 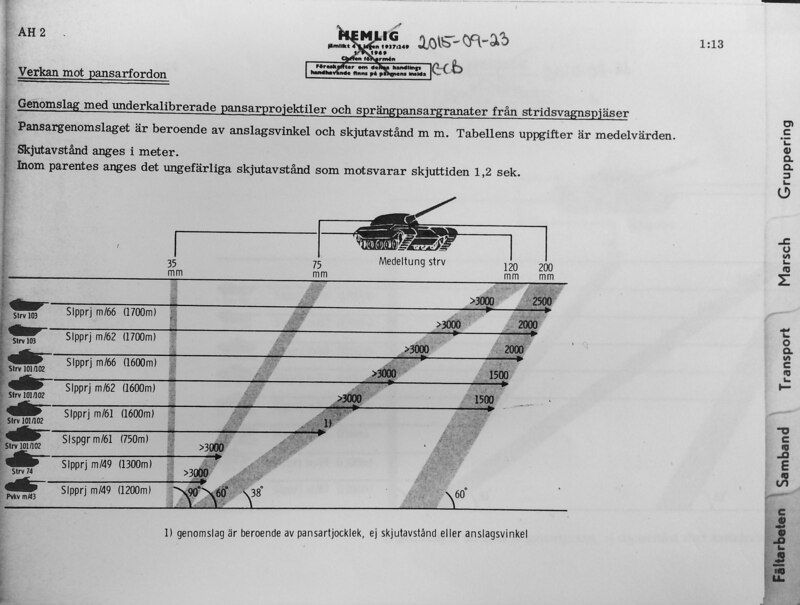 Studying captured T-34’s in Finland has proven that an entirely mechanical gearbox for a tank in the 25-30 ton class with very powerful engine is definitely possible, and the Russians seem to know what they’re doing, so the new gearbox is entirely mechanical. 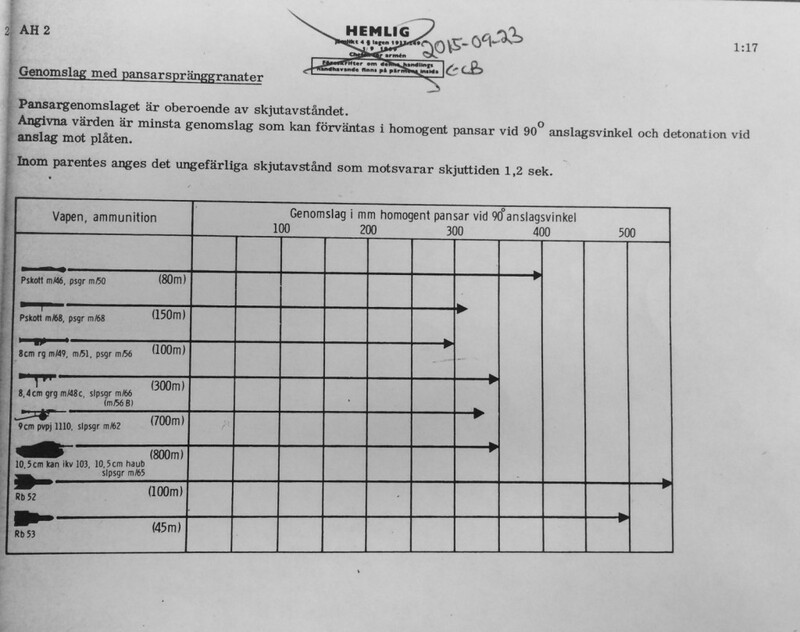 After the war, all strv m/42 TM’s are refitted with new gearboxes: 30 get Atlas-Diesel’s hydraulic one (becoming m/42 TM) and 70 get Volvo’s new mechanical one and a new designation, strv m/42 TV (two engines, Volvo gearbox). Stridsvagn 74 – new turret, same old chassis. Meanwhile, already in 1943 it’s becoming apparent that perhaps that short 7,5 cm gun wasn’t sufficiently powerful after all, and the army starts looking at alternatives. Like in many other countries the obvious choice is an anti-aircraft gun, more specifically a Bofors pre-war 7,5 cm design that heavily inspired the German 88. It is tested on the tank in a new turret in 1945 but technical problems and the end of the war make the entire thing come to nothing. Instead, the tank soldiers on into the late 50’s, when it finally gets a new turret and the old AA gun for real, becoming the strv 74. 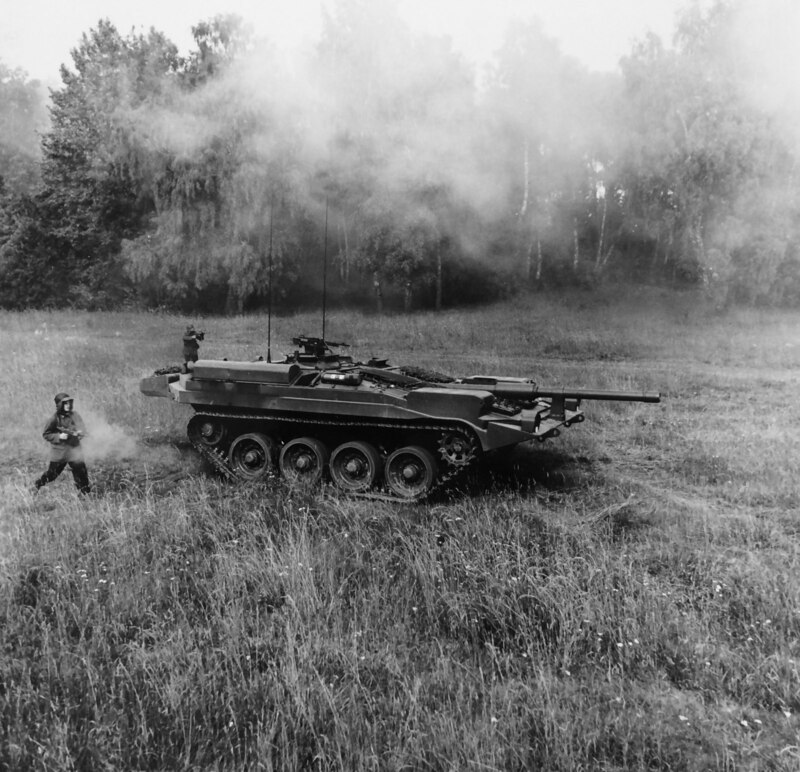 The Volvo-engined tanks are not upgraded and are instead kicked out of the tank brigades and into an infantry support role. The strv 74 serves in tank brigades until the late 60’s, by then thoroughly obsolete as a frontline tank, and is then kicked into the infantry support role and replaced by the strv 103. 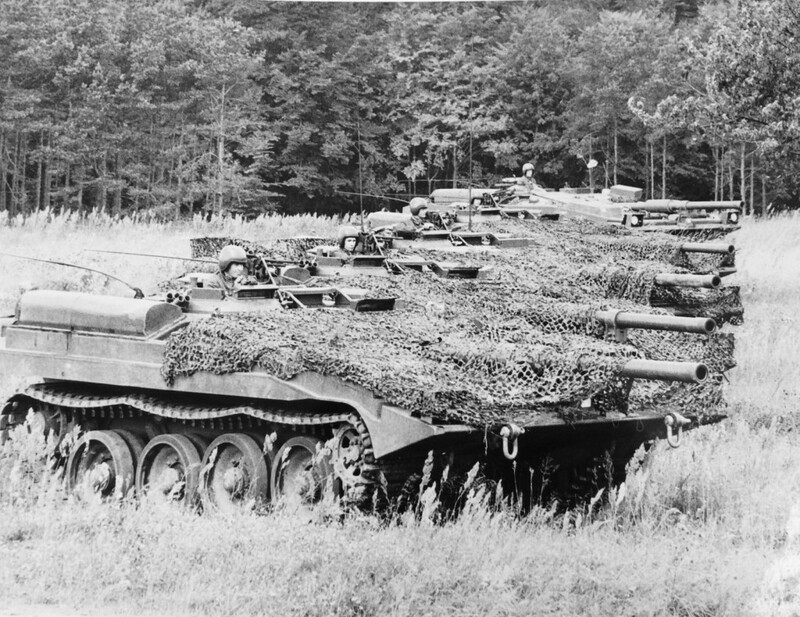 The last strv 74’s then serve in reserve infantry formations until the early 80’s, ending a very long career for a quick wartime improvisation of a tank.